As a family owned carpet cleaning company based out of our home town of Burnsville; Commercial Steam Team understands how important the decision to hire a carpet cleaning company for your dental facility can be. Commercial Steam Team can help play a part in keeping your dental practice clean, safe, and looking good. You get the peace of mind that comes from hiring a properly bonded, insured, and licensed company that has been in the business 15 years and participates in employee profit sharing. And you also receive the convenience that comes from using pros that are available Monday – Saturday at any time of day or night. With us, you will never get charged extra for afterhours cleaning, as our team strives to make your carpet and tile cleaning experience as hassle free and enjoyable for you as possible. We understand that in the dental field, cleaning floors and carpets is necessary as a direct result of your everyday work. Stains can look bad to patients, but also be scary. Smells can deter patients from doing business with you. Common accidents and spills from coffee or food combined with the everyday spatter that happens during dental procedures can look bad or in a worst case scenario cause contamination. 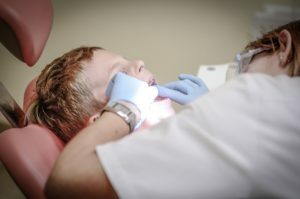 This is why our team takes your dental facility cleaning seriously. We offer our stain treatment at no additional cost and add FiberTech to increase the longevity of your carpet and act as a barrier against future stains. In addition, all of our carpet cleaning products are non-toxic, residue free, and hypoallergenic. Your cleaning can also include a bacteria killing deodorizer that eliminates odor causing bacteria and leaves no lingering smells. All combining to keep your patients and employees comfortable and most important, healthy.